The ATS Waterproof Jacket is padded providing a good degree of warmth on a cold day. All seams are sealed to avoid water ingress. Fitted with a removable, integral storm hood with draw cord feature. 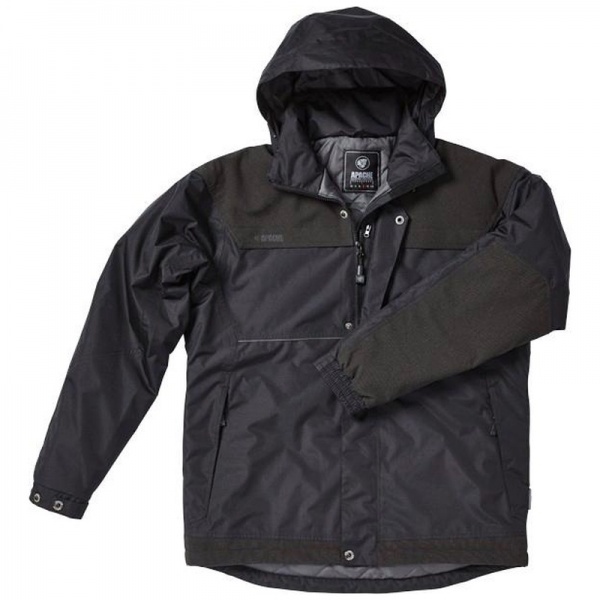 The jacket features hard wearing extra panels to the shoulders and lower arms and secure elasticated cuffs. With two large side pockets and an internal zipped pocket. Reflective pipingto front of jacket for added safety.